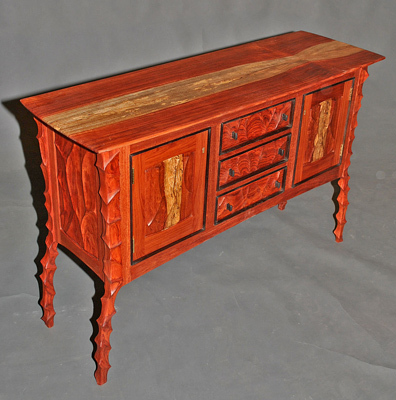 A sculpted case piece of cherry, curly cherry and wenge. 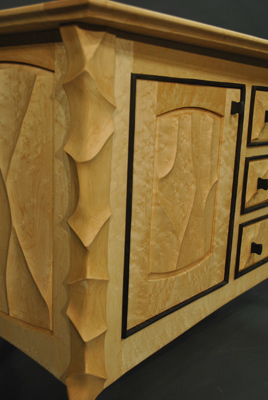 In each cabinet is a adjustable corner shelf. 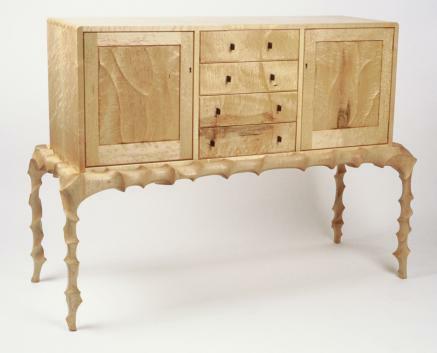 This piece is 50" x 34" x 20". 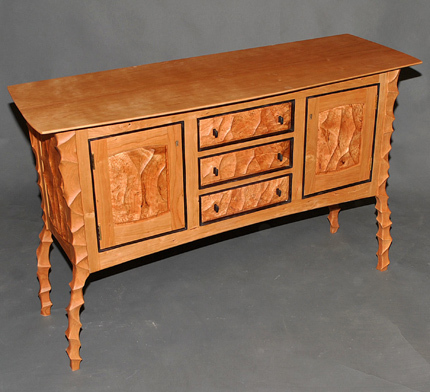 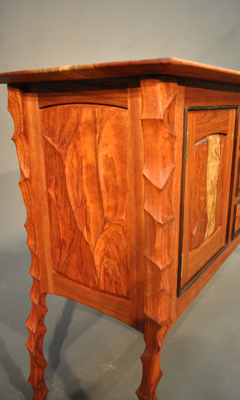 Another sculpted console cabinet of bubinga and wenge. 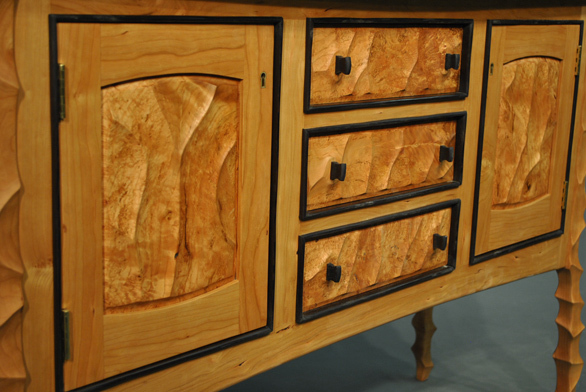 A similar sculpted console of birdseye maple, stone and wenge. 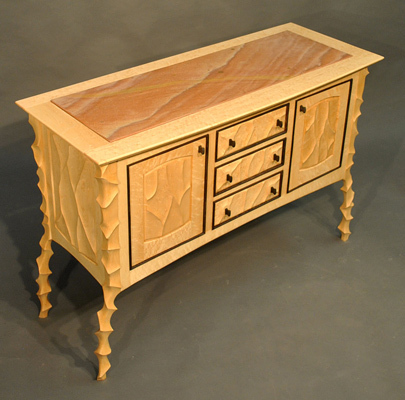 The sandstone is inlaid into the top.